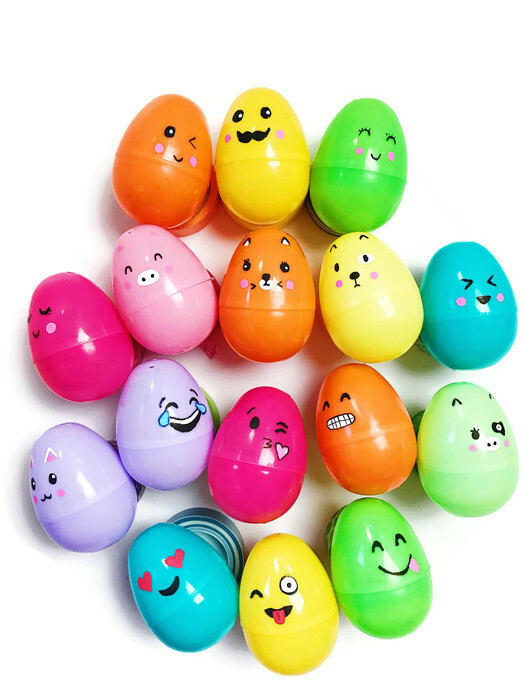 When it comes to Easter egg decorating I like to keep it simple. 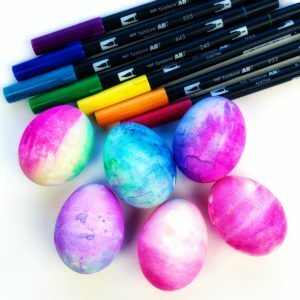 I’m just not patient enough to boil a ton of eggs and then actually take the time to dye them. 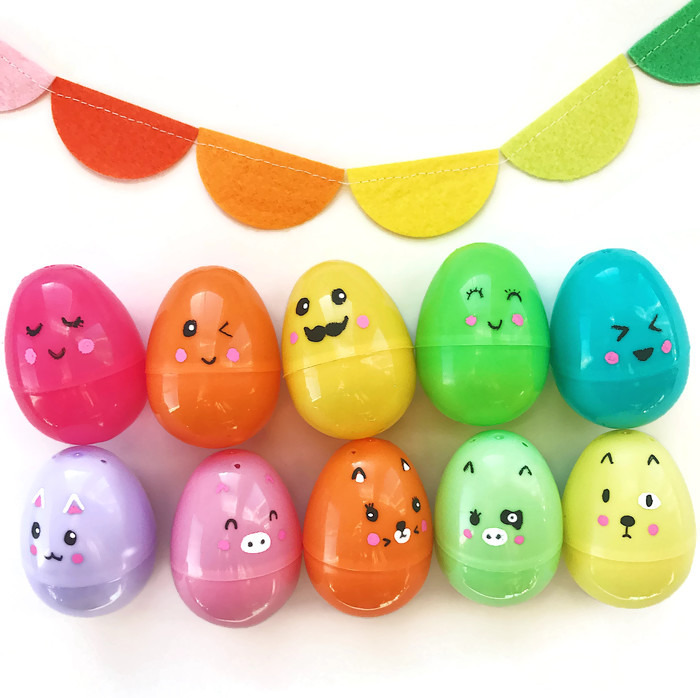 I prefer something that’s fast, cute and easy. 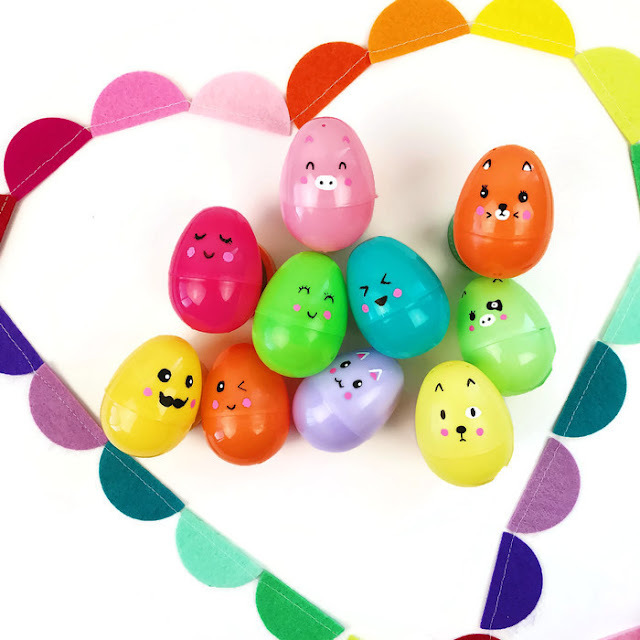 So if you’re anything like me, you’re going to love making these kawaii and emoji inspired easter eggs. 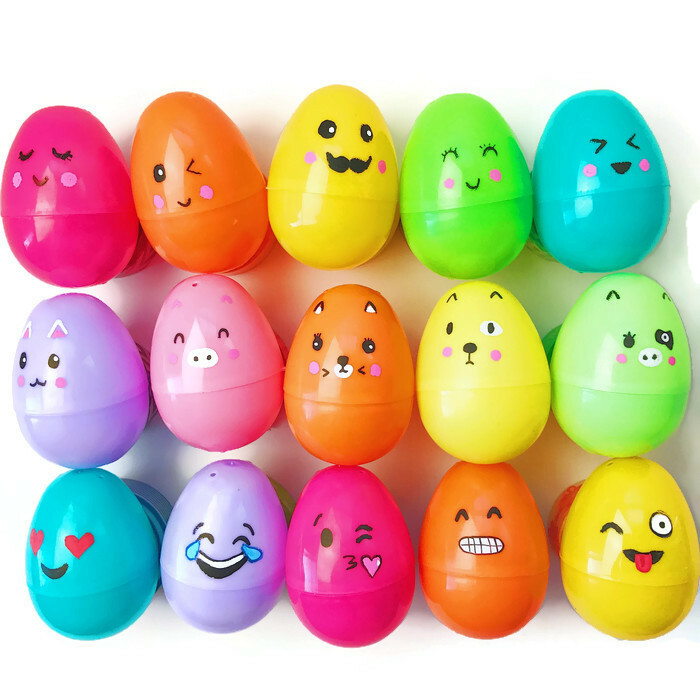 Plastic Easter Eggs in different colors – I like these plastic eggs because they are hinged. 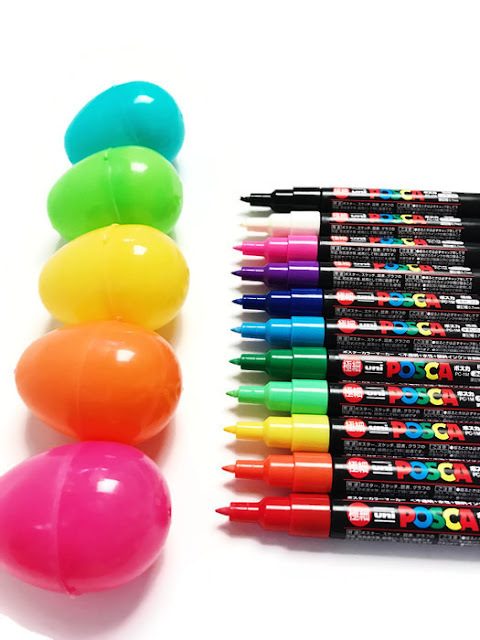 Paint Markers – These Posca Paint Markers are my absolute favorite and I use them also on rocks, wood, leaves and paper of course! I always purchase the extra fine tip. 1. Sketch your designs on a plain piece of paper first just to get comfortable with how you’re going to place the faces on your eggs. 2. 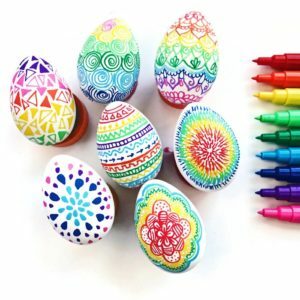 Using your Posca Paint Marker, start making your designs. 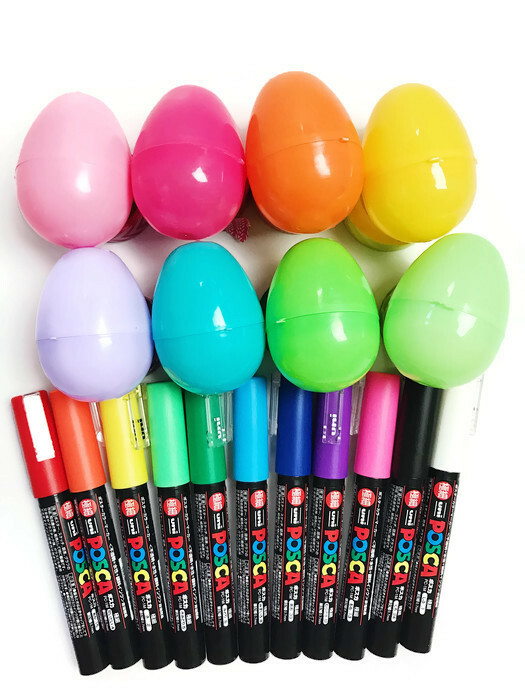 Here are a few tips for using the markers: 1) Make sure you shake them really well before each use. 2) You’ll need to get paint flowing through the tip before you draw. I recommend doing this on a scrap piece of paper. 3). If you are doing one color over another (like you would for making the eyes), make sure the first color is completely dry before applying the second. 3. Once you’re done, fill your eggs with yummy treats, confetti or mini toys. 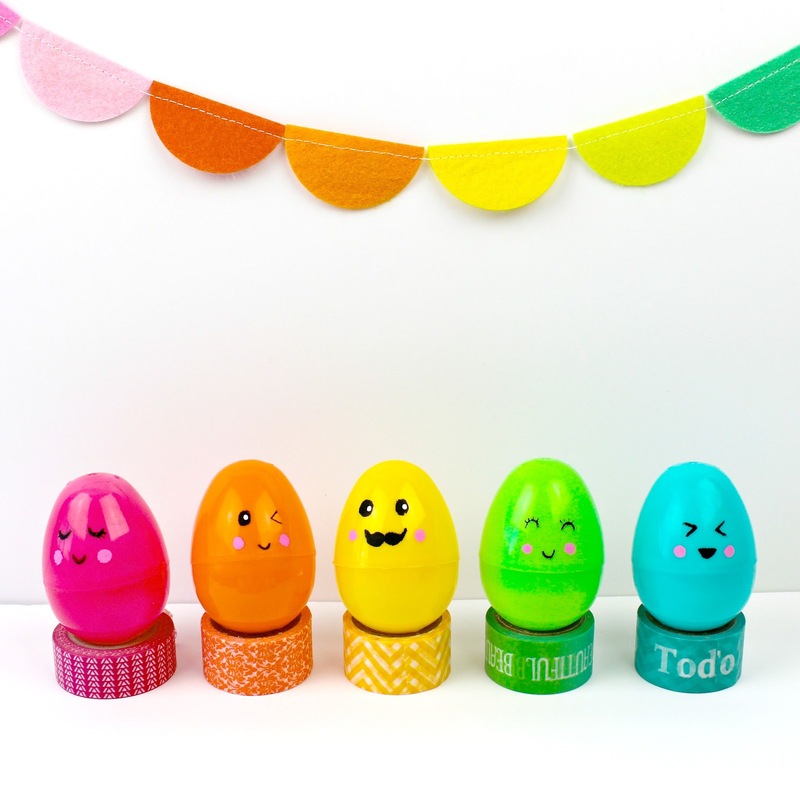 This is seriously such an easy Easter egg decorating idea. The secret really is in the paint markers. Once you have the paint pens, the possibilities are endless. 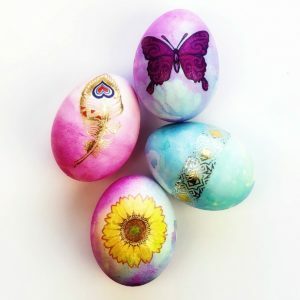 I’d love to see your finished eggs. 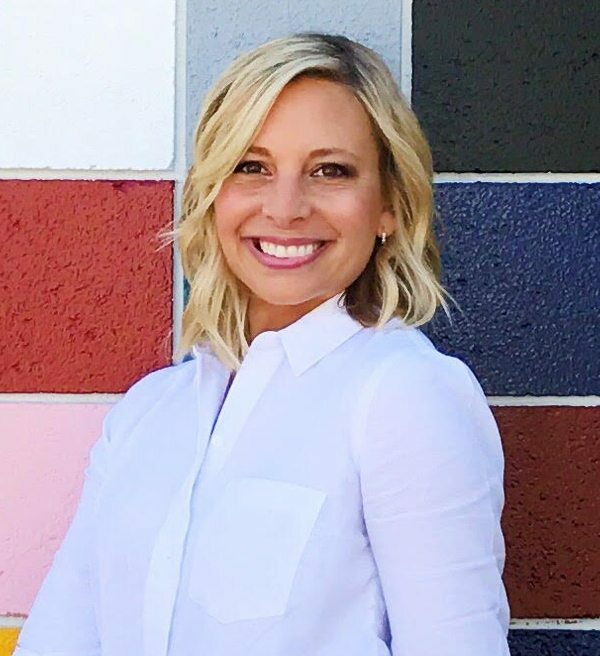 Tag me on instagram at @colormadehappy so I can see what you created (FYI: I recently changed my instagram name and I have new and refreshed Color Made Happy blog coming soon! ).